In many cases MySQL is regarded as the database partner for PHP scripts. MySQL, however, is not the only database option for PHP and other dynamic codes. Oracle databases can in some cases be viewed as more robust and industrial but they are typically chosen if a client (company) already has an established relationship/contract with Oracle. 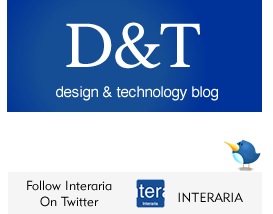 If your company prefers Oracle database over MySQL database, Interaria can work with this technical framework. Maria DB Open Source Database Software is a recent evolvement of MySQL. Maria DB promises improved scalability, storage and speed over MySQL. Maria DB has recently gained popularity but it is still a newcomer with a much smaller user base in comparison to MySQL. WebScaleSQL is also an interesting new database development project aiming to develop greater performance to MYSQL in running it in a larger scale. Currently the contributions to the database have come from Facebook, Google, LinkedIn, and Twitter. The bottom line: Interaria follows the database software developments closely, making recommendations on the database use based on each client’s database needs. Interaria’s software engineering perspective means applying a systematic and disciplined approach to web and mobile application development. When developing applications we make sure that they can handle large data growth and scalability, and that all codes are systemized and well-documented. Our custom web and mobile application development process can apply codes and methods from software engineering languages and approaches (C++ Development, Oracle Database Development, Java Application Development, Big Data Development, Distributive Application Development) according to each project’s requirements. In the cases where the application is desired to be running offline, our expertise in these software engineering languages may also be useful. The Bottom line: Applying professional software engineering to mobile and web app development fosters quality control, data scalability, effective problem solving and debugging.